Chagas disease can be cured if we catch it in time. There are two medications for treating the disease: benznidazole and nifurtimox. These medications are not yet approved in the United States and have to be solicited from the Centers for Disease Control by a physician. Benznidazole or nifurtimox can cure or at least substantially delay the effects of chronic Chagas disease. However, to be effective, they must be taken when the patient is still in the acute or indeterminate phase. These medicines are in pill form; you simply take the pills for 2-3 months. These medications can sometimes cause side effects. Benznidazole can produce rash, loss of appetite, insomnia, and numbness, tingling, or loss of sensation. Nifurtimox can cause lack of appetite, nausea, anorexia, anxiety, depression, insomnia, and numbness, tingling, or loss of sensation. It is important to let your doctor know if you experience a side effect while taking the medication. 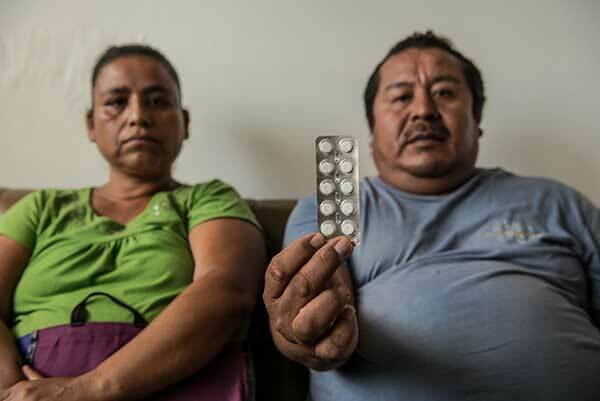 People who have already developed heart damage from chronic Chagas disease may need other kinds of medicines and/or devices to minimize further deterioration. Oftentimes a defibrillator or pacemaker is necessary. Corrective surgery is an option for people with gastrointestinal damage.